Political Institutions have to cater to a number of different agendas and motives. In order to act effectively and efficiently on all these agendas it is imperative that they have a sample agenda template that will enable the political parties to plan all their objectives and prerequisites. Hence our Sample Agenda Templates can contribute immensely to the improvement of the functioning of our political institutions. These templates have a simple and crisp look that adequately caters to the requirements of the various political parties. This template has a very professional and crisp look that provides the user with all the required spaces for specific information. The user can feed in information and details of the various agenda topics that are to be discussed in the meeting. The time allotted for each of the discussion topics and also the name of the presenter. This format also accommodates timeline specifications set aside for breaks and refreshments for the participants. Here are some selected ones to choose from. It has a very clean and organized look. The user can create a detailed record of the political meetings. This template can provide you with information of the person calling the meeting, the name of the attendees who are coming to the meeting, the time line for activities that are to be carried out in the meeting. The template also offers details of the locations where the meeting is to take place. In case you are looking for details of the political agenda then this is the template that happens to be the most apt for you. This template offers you with a format that can record all the detailed information of the meetings and the political assimilations. This is a template where you can write all the information of the meeting in a proper paragraph format. This template has been designed so that the user can write down all the details and the information of the meeting in a paragraph style. The background of this template is very neat and clean and offers a very formal look. The user can add various information and details and minute specifications related to the political meetings. This template is the best option you have to intimate regarding a meeting. The format offers information on the main agenda of the meeting. 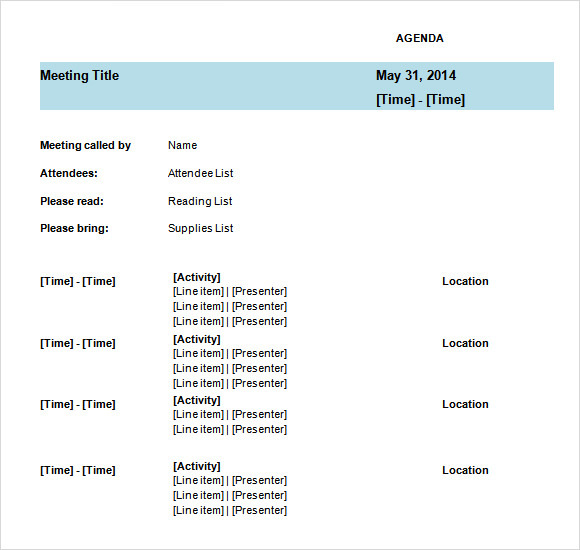 The format of the template can also record the minutes of the meeting. 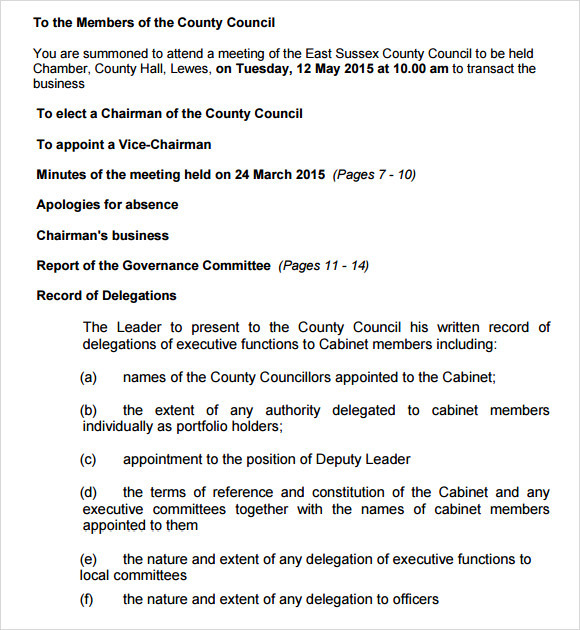 This template also provides other information such as the date of the meeting and also other formal notes such as apology for absence, the Chairman’s business and the record of the delegations. 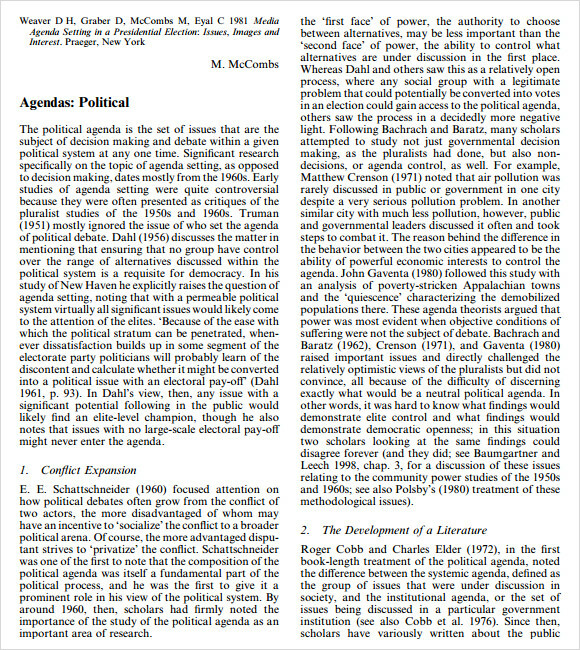 What is Political Agenda Template? It can be used to design a layout that will be providing information of the political meetings and the political institutions. This Board Meeting Agenda Templates can be of various types. In certain templates we see that the information is given in a short and crisp style and in others the information are written in elaborate paragraph style that can include the sections of introduction and main body. 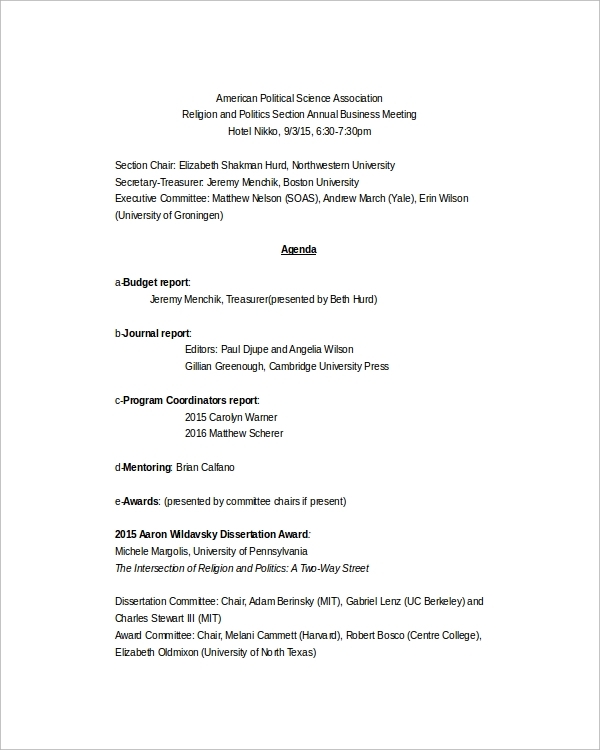 These templates are perfectly designed so that varied information pertaining to political meetings can be furnished, such as the agenda of the meetings, the people speaking and their positions and the locations where the meetings are to take place. How do you create a Political Agenda Template? Political Agenda Templates can be designed by creating formats that will be furnishing various information of the agendas of the meetings, the speakers, the timelines as per which the meetings are to be guided and also locations of the meetings. These information can either be provided in the formats of columns or can be provided in symmetrical and consecutive lines. The change in designs can be made by clicking on the smart objects of the Weekly Agenda Templates. These templates provide all the details of the political meetings. One glance at the template designs and you get a whole and an overall idea of the meetings, in terms of the issues that are to be discussed and the people speaking. These templates help you to stick to the timelines. This helps everything to be organized and disciplined in the meetings. 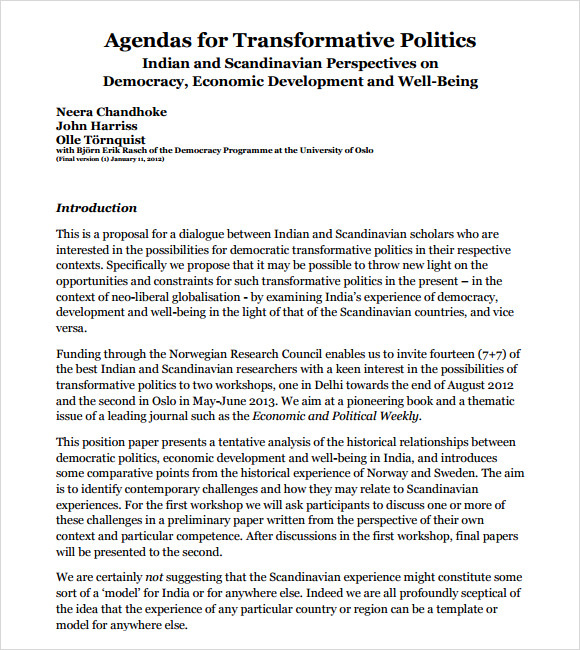 These Political Agenda template can contribute immensely to improve the functioning of political institutions. Be it for meetings or prioritizing a specific task, the templates let you have an option of setting timelines and also monitoring whether the agenda is achieved.